To roll out new high-speed 5G wireless networks, companies like AT&T have to install refrigerator-size transmitter boxes that, rather than the antennas atop tall towers, sit closer to the ground and reach a service area of only two blocks. The companies have to install thousands of these boxes. 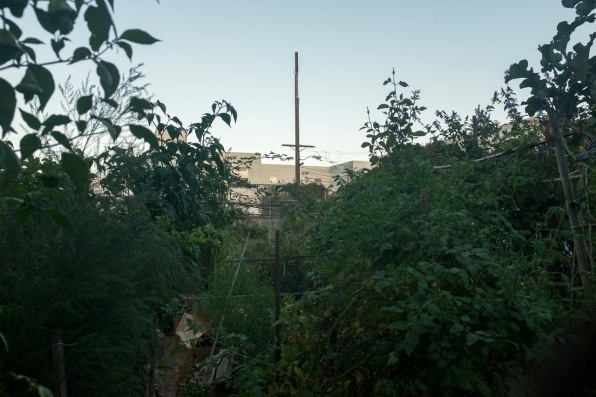 There’s no way for cities and counties to ensure that the providers are installing the networks equitably, nor is there any way for the cities to generate revenue off of the land usage. Dundon’s resulting series of photographs, taken around the Bay Area, are scant on people, but instead highlight the telecommunications infrastructure–from tall, tree-like towers to clusters of boxes and cables–that have slowly taken over our cities and landscapes. The infrastructure, Dundon says, serves as a way to think about ideas and concepts that are largely invisible, namely, our creeping dependence on constant communication and data usage. “The growth of these inorganic sculptural outcroppings on the urbanscape are a symptom of the failure to keep that process of dependence in check,” Dundon says. “Technology has such a place in our lives now that it’s hard to take a step back and look at what it really is and how it reaches us.”The galvanizing event for Dundon’s work on this project was the introduction of California Senate Bill 649 last year, which largely would have deregulated the process by which wireless service providers install telecoms infrastructure in cities. 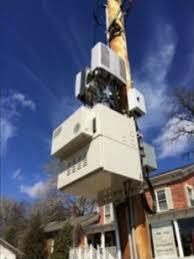 To roll out new high-speed 5G wireless networks, companies like AT&T have to install small-ish (read: up to refrigerator-size) transmitter boxes that, rather than the antennas atop tall towers, sit closer to the ground and reach a service area of only around two blocks. As such, the companies would have to install a lot–perhaps thousands–of these boxes across cities and towns to scale 5G. Local regulations could pose a serious hurdle to the telecoms companies: If AT&T had to get a permit for each box, the process would move at a snail’s pace. 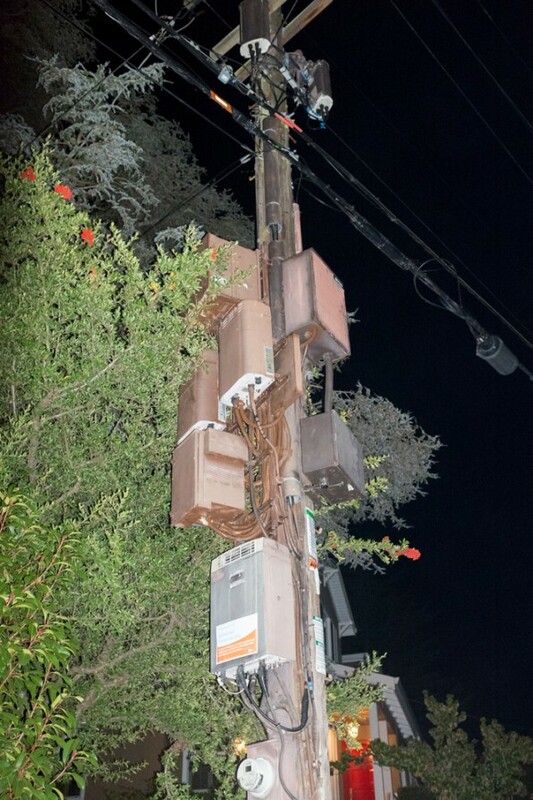 SB 649 essentially would have allowed wireless service providers to install boxes on any publicly owned “vertical infrastructure” like municipal utility poles and street lights, at will, and would have capped how much rent local communities could charge the providers for using their space–which was a particular point of contention, given residents in many places have already voiced opposition to the aesthetics of the boxes dotting their neighborhoods. While Governor Jerry Brown vetoed the measure last fall, the bill, Dundon says, “is still indicative of the momentum here.” Dundon equates the sway of the telecoms companies over the legislature to Donald Trump’s recent pair of executive orders designed to open up federal lands for cell tower installation.While expanding wireless and broadband access to underserved communities is important, “there’s got to be a better way to do it than just handing the keys over to the telecoms companies,” Dundon says (municipal broadband networks are one option; local mesh networks are another). Without local input, there’s no way for cities and counties to ensure that the providers are installing the networks equitably, nor is there any way for the cities to generate revenue, which they then could use to subsidize other public infrastructure projects, off of the land usage.